As oil companies around the world scramble to slash capital expenditures amid falling oil prices, Brazil’s major oil company is being assaulted on multiple fronts. Already the most-indebted and least profitable major oil firm in the world a year ago, the company now faces two major crises in low oil prices and a festering corruption scandal. The scandal involved a kickback scheme in which Petrobras contractors overcharged the company for projects, skimmed off profits, and paid off Petrobras executives and top Brazilian politicians with the proceeds. Dozens of people have been arrested thus far, but the problems are not over for the company. The U.S. Justice Department is also investigating because Petrobras is listed on the New York Stock Exchange. The spate of corruption forced the company to delay its third quarter earnings report, a move upon which the markets have not looked favorably. Petrobras said in November 2014 that it needed more time to look into the scandal, at which point it could revise financial statements. But the delay has pushed the company close to point of actually being technically in default, a development that could result in the company being shut out of capital markets. But after delaying its earnings report twice, Petrobras now says that it will report its third quarter numbers at the end of January. Its creditors agreed to the timeline, taking away the risk of default for now. However, the earnings report may not be pretty. Petrobras is expected to significantly write-down some its assets, which it now says were inflated due to corruption. Despite all of its ills, Petrobras continues to find and discover new oil. On January 8, 2015, the Brazilian oil giant announced a new discovery off the country’s northeast coast. 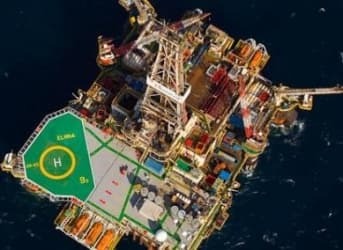 While the company has yet to release an estimate of the size of the find, it did say that the discovery was the largest for Brazil since 2007, when a massive pre-salt discovery off the coast of Rio de Janeiro set off an oil rush. In fact, Petrobras moved passed ExxonMobil in the third quarter of 2014 to become the world’s largest publicly traded oil company by production. Along with ConocoPhillips, Petrobras was one of the few publicly traded major oil companies in 2014 to actually boost production. Nevertheless, oil prices at just $50 make many of the new fields unprofitable. Petrobras has ambitious plans to produce from its pre-salt reserves, but such drilling is highly technical and expensive. It has signaled that it will substantially slash its capital expenditure plans down from $220 billion, although details are yet forthcoming. An extended period of low oil prices coupled with the corruption scandal could derail Petrobras’ dreams of nearly doubling Brazil’s oil production from 2.3 million barrels per day up to 4 million barrels per day by 2020. The Brazilian government has come out and said that it would backstop Petrobras’ debt if need be, a move that should shore up confidence but the need to reassure also underscores the extent of the problem. The gloomy mood over Petrobras also mirrors the broader struggles with the Brazilian economy, which barely escaped recession late last year and could yet return.